Eight years, eleven months and eleven days. That’s how long the true Olympic Silver Medallist, Ele Opeloge has waited for her moment of glory. The gloss may have faded but her chance to stand proudly in front of her people will never be erased. Yesterday, Ele Opeloge made her entrance down Beach Road for a parade in her honour. 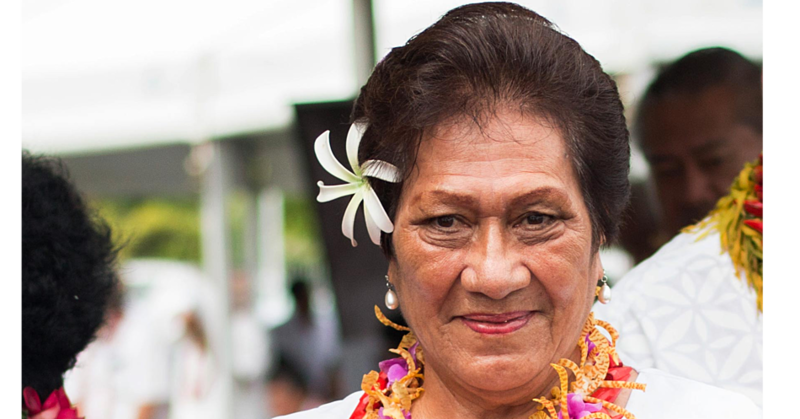 Ele hoisted the Samoan flag high as she was flanked by the people who’ve helped make her achievements into a reality. Although nothing can replicate the experience of standing on the podium at the Olympic Games while the country’s national anthem is blaring; the humble gathering of supporters would have to do. Regrouping in front of the government building, Ele stood proudly in front of the Prime Minster, Tuilaepa Malielegaoi, and Cabinet ministers and supporters. The Minister of Education, Sports and Culture, Loau Keneti Sio presented Ele with her medal. To add to her list of successes, there were more honours to follow for Ele. 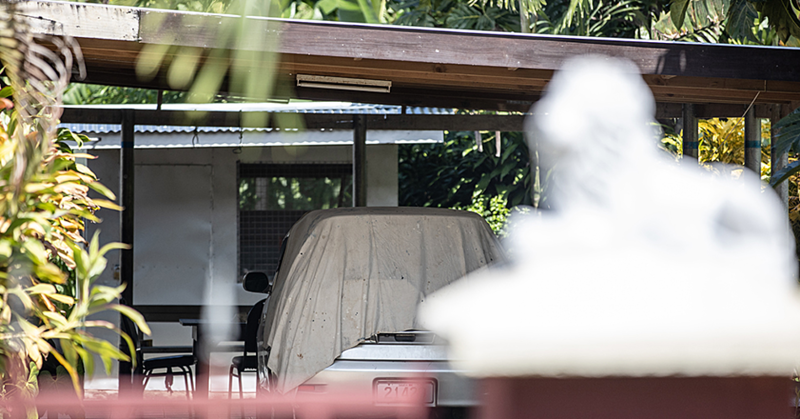 The Samoa Association Sports and National Olympic Committee was made aware that yet another cheat had been found from the London 2012 Olympics. The bronze medallist was removed from her position which boosted Ele from sixth to fifth place. And so it was that the president of S.A.S.N.O.C. Patrick Fepulea’i also presented Ele with a certificate from the International Olympic Committee acknowledging her accomplishment. Although the formalities were a nice gesture, Ele did not receive anything that already didn’t belong to her, from the government of Samoa. 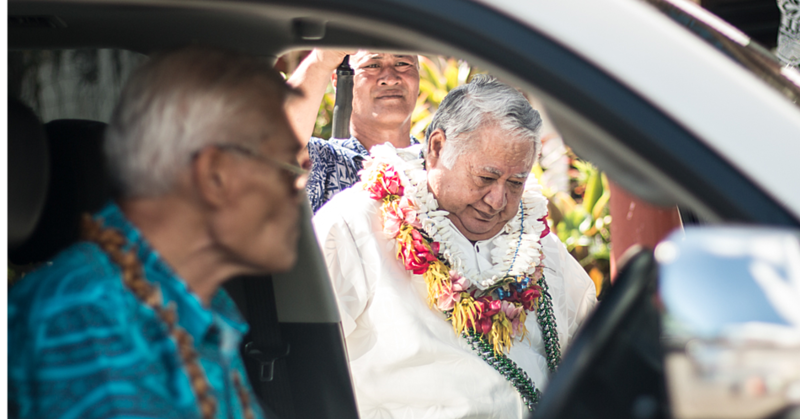 She received monetary gift at the very end of the event when the Editor of the Samoa Observer, Mata’afa Keni Lesa presented Ele with a cheque for $25,009.60. 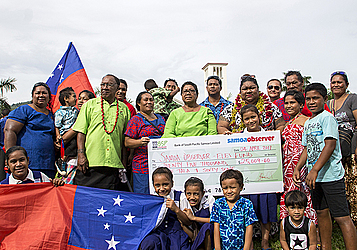 The money was a donation from the community which was deposited into the ‘Samoa Observer - Ele’s Fund’.